In 1945 engineer Masaru Ibuka and physicist Akio Morita founded Tokyo Tsushin Kogyo K.K. (Tokyo Telecommunications Engineering Corporation). Soon they introduced a new electric rice cooker. In 1950 they introduced "Soni" magnetic tape and a tape recorder. In 1955 they renamed the company to Sony, and in 1960 they introduced the World's first TV-set based on transistor technology. Sony relied very much on the German optics designer Carl Zeiss. It was June 6th 2006 when it released the first of its DSLR cameras for Minolta's Alpha mount lenses, the Sony Alpha SLRs. This camera succeeded Konica Minolta's digital SLR series Alpha/Maxxum/Dynax and surpassed the predecessors concerning reliability. In autumn 2007 a new model, the DSLR-A700, was introduced in Italy. 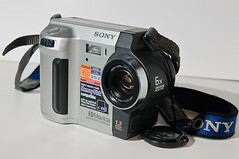 In 2008 the company offered DSLRs for beginners (Alpha 200) as well as for advanced to professional photographers (Alpha 900). The Alpha 900 has an image sensor with 35.9×24mm frame format (equivalent to 35mm film format), making it interesting to use it with the finest old Minolta A-mount lenses. 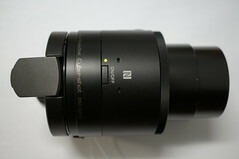 Nevertheless some new Sony- and Zeiss lenses are available for the Sony α system. 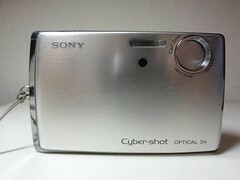 In 2009 the highly light-sensitive cameras DSLR-A500 and DSLR-A550 were added. The DSLR-560 and DSLR-580 of 2010 were last DSLRs of Sony. 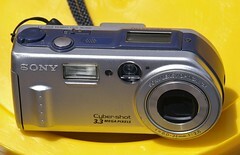 Since then Sony featured its own SLT reflex camera conception instead of the traditional digital SLR concept. A semi-transparent fixed mirror which directs some of the incoming light onto AF sensors is the principle of this kind of reflex camera. The pentaprism and pentamirror viewfinders of these SLTs are replaced by EVF. 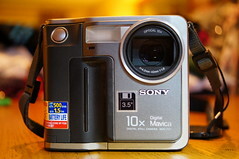 The compact Sony NEX digital system cameras and camcorders were another innovation of 2010. 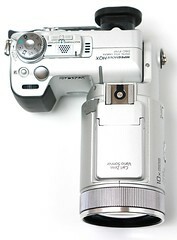 After having introduced top camera models of each Alpha system camera class - a full-format SLT, a full format NEX camcorder and a versatile APS-C format NEX still camera for real enthusiasts - in 2012 the company founded a strategic joint venture with Olympus which had suffered a severe fraud scandal before. 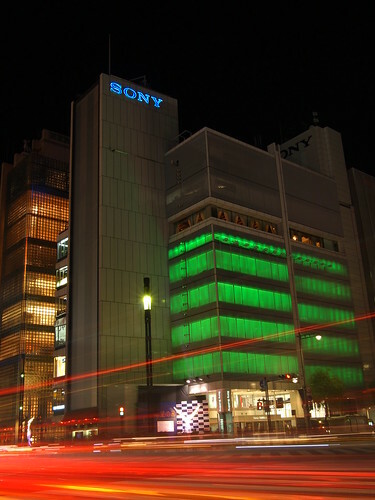 Olympus will deliver optical components for Sony, and Sony will deliver image sensors for Olympus. Other renowned camera makers also use Sony imaging sensors for several of their cameras. The company has a significant market share in the sensor market. This business was also extended in 2012 by taking over Pixim. 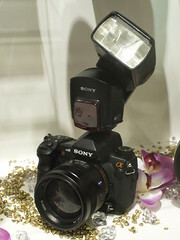 In 2013 Sony began to extend the Sony α system by CSCs with 24×36mm sensors, staying successfully the only one in this full-frame CSC market for at least 4 years. Konica Minolta used different brand names depending on distribution regions for their DSLR cameras. Sony decided to use a unified global brand name for their DSLR cameras and chose the name α, pronounced alpha. This was the name used by Minolta in Japan and China. The brand name α is a bit hard to type. 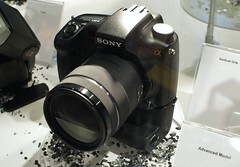 So for example, the Sony α290's full model name is known as the Sony Alpha DSLR-A290. Ultra compact, slim design compacts the successor to the Minolta X series compacts. Early cameras have a 180 degree rotating lens platform. These are video cameras that capture an analog still image onto a Mavipack or VF (Video Floppy) disk. Photos can be viewed and printed with a suitable VF player and or printer. 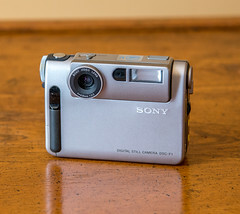 Sony Mavica SLR (1981) listed at number 14 in Jason Schneider's Top 20 Cameras Of All-Time (archived) on Shutterbug.